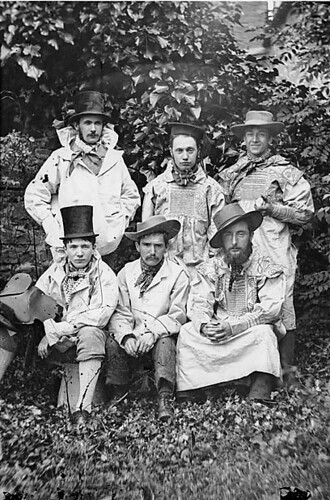 Did you know that there are collections of public domain photos on Flickr? A diverse group of museums and libraries have contributed some images to the section called The Flickr Commons. In my next set of posts, I will feature selections from some of the collections, particularly those not located in the US since the Library of Congress and US government sites have been used extensively here. 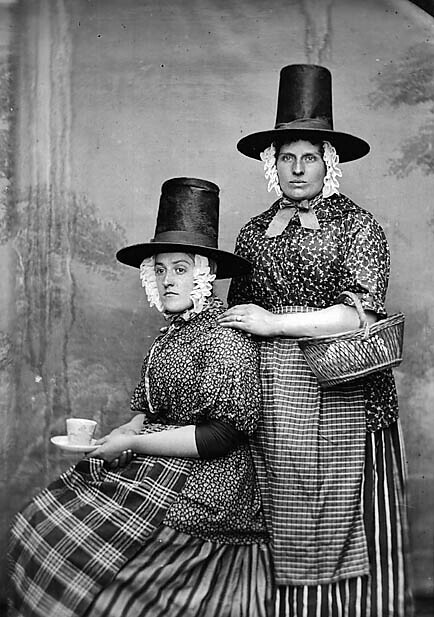 For no particular reason, I’m starting with these from the Llyfrgell Genedlaethol Cymru / The National Library of Wales LIGC/NLW]. 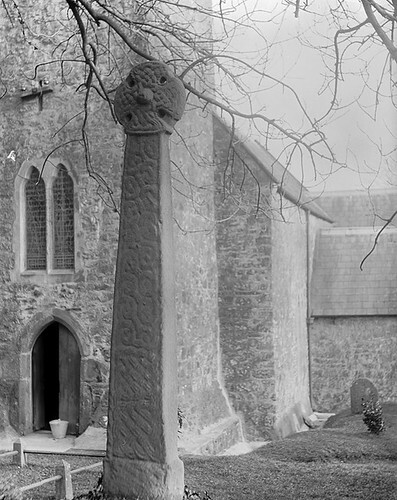 The NLW has uploaded some of its P. B. Abery collection of photographs taken mainly between 1890 and 1940 in Radnorshire, the border area of Wales and England. Http under the photos takes you to the Flickr page where you can download the image in several sizes. These first four photos date from the mid 1870s. You can learn more about the photographer, John Thomas, here. Farlie's Patent double ended narrow guage steam locomotive, "Little Wonder". 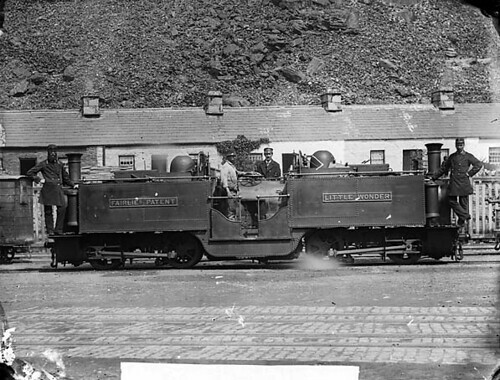 Railway staff are standing on the engine. 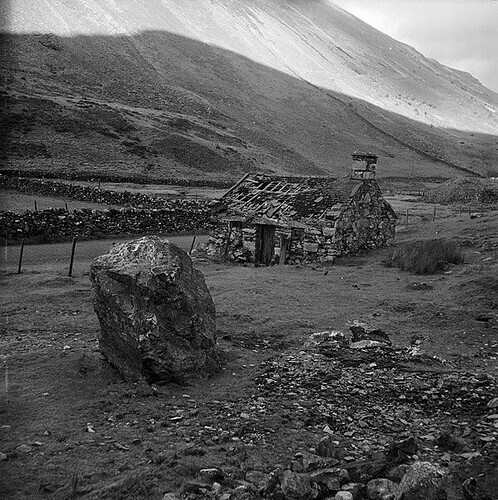 The Old Drws-y-coed Copper Mine, Dyffryn Nantlle, 1961. By Geoff Charles. 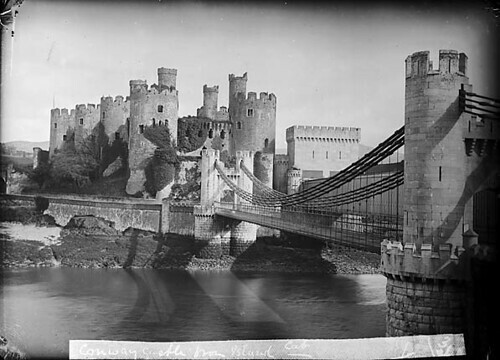 This entry was posted on February 8, 2012 at 9:37 pm	and is filed under Flickr Commons, Historical, Places. Tagged: Flickr Commons, Llyfrgell Genedlaethol Cymru / The National Library of Wales LIGC/NLW], Wales. You can follow any responses to this entry through the RSS 2.0 feed. Both comments and pings are currently closed.